Click Here for Summer Line-up! 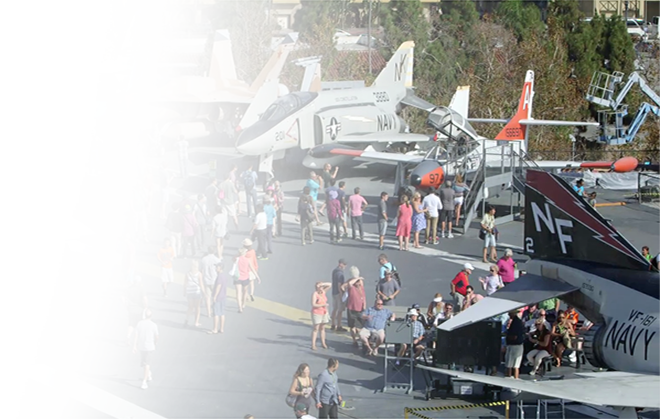 Summer may be over, but the Midway is proud to share our next line-up of events onboard. Join us for Midway’s Season of Thanks from now until the end of the year! In honor of our nation’s flag, wear Red, White and Blue patriotic attire to receive free general admission to the Midway on Flag Day. Enjoy a live performance from the award-winning Mountain Fife and Drum Band! Circle-level Midway Members get to tour the ship like never before! Explore areas the general public does not see. 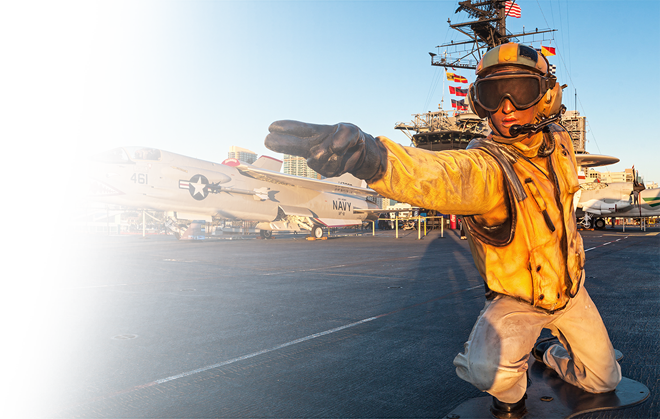 A behind-the-scenes look at life aboard an aircraft carrier! 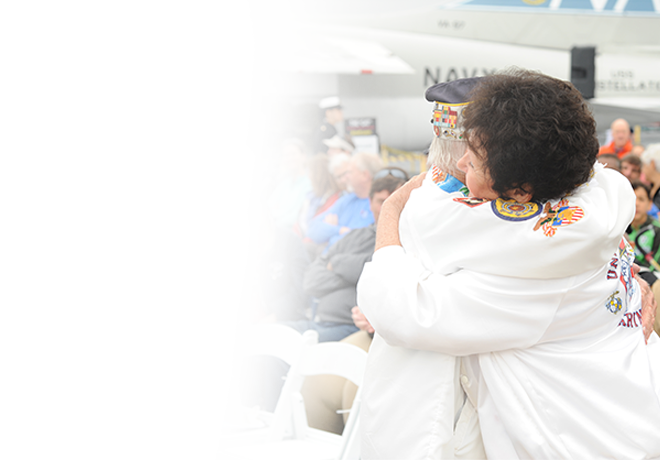 Join us onboard June 29 – July 5 to view two temporary exhibits intended to honor, raise awareness and support our Armed Forces and First Responders. Come view the American Freedom Bell and 5 stunning large-scale patriotic paintings that make up the “The Spirit of Liberty Collection” until July 5. Give back on Independence Day! Stop by the San Diego Blood Bank trailer on Navy Pier (within the Ace Parking Lot) to make a donation! 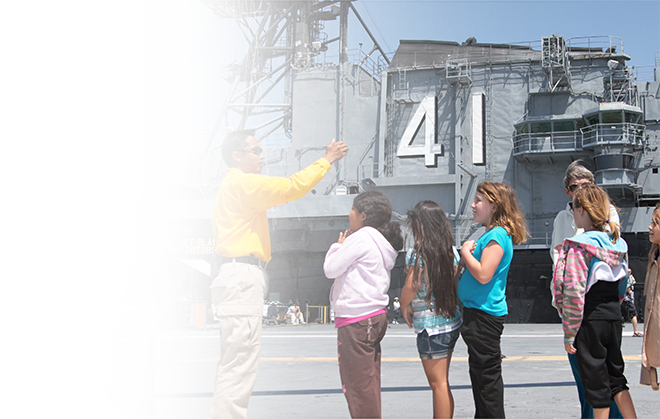 Donors will receive one (1) free pass to the USS Midway Museum, while supplies last. Tickets: $20 General Admission, $15 Midway Members & Youth (6-17), Children 5 and under free with ticket. Watch the spectacular Big Bay Fireworks show from the flight deck, the best view in town! Bring your blankets, lightweight lawn chairs and enjoy a movie under the stars! Flash your 2018 Comic-Con badge to receive $2 off your ticket to visit San Diego’s top attraction just steps away from the San Diego Convention Center! 1 admission per badge. The Good, the Bad, and the Midway – Saddle up for a rootin’ tootin’ time at our 7th annual Steel Beach Party & Beer Fest! Enjoy brews from the best local craft brewers, live music, dancing, great food and fabulous fireworks at this exclusive Membership event! Bring your blankets, lightweight lawn chairs and enjoy this family must-see movie on the flight deck and under the stars! 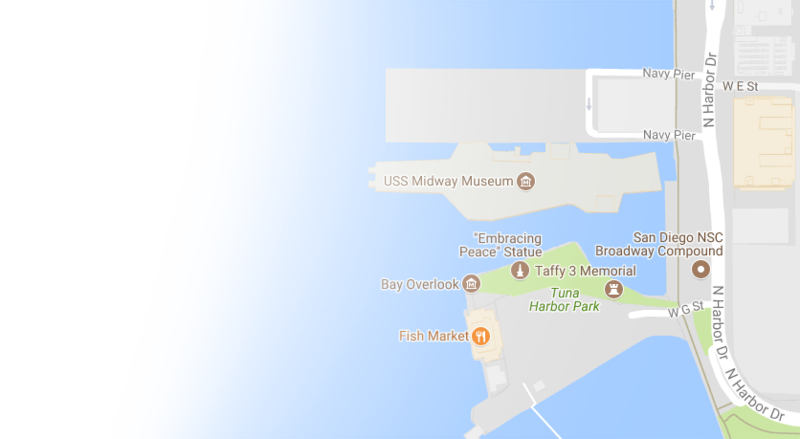 For an additional fee following the movie spend the night on the Midway and experience “Night Ops” on an aircraft carrier. 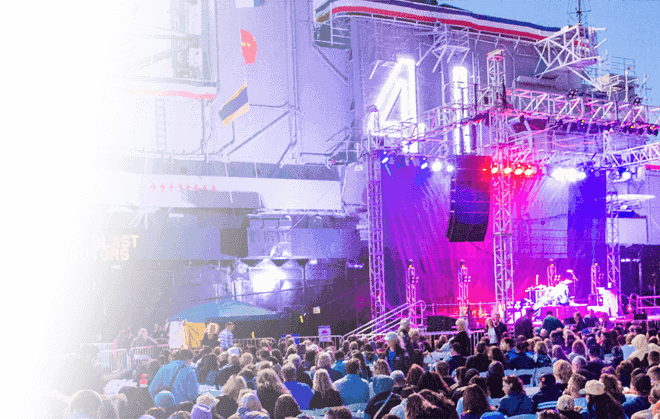 Join us for a spectacular summer evening under the stars on the famed flight deck! Midway’s annual black-tie event honors extraordinary individuals who exemplify the finest of American ideals. Proceeds benefit Midway’s “No Child Left Ashore” scholarship fund. Are you a September baby? In honor of Midway’s birthday, show your ID at the ticket booth and receive free general admission to the Midway on September 10th if you were born in September.